Irish Tatler.com is committed to safeguarding your privacy online. Please read the following information to understand how your personal information will be treated by us, as well as our third-party providers. 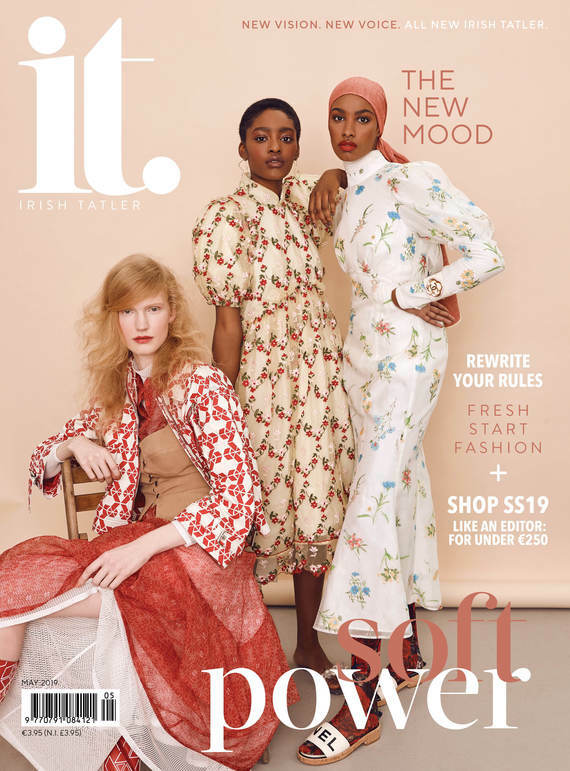 The Irish Tatler.com website is operated by Irish Studio Media Publishing Limited. This Privacy Statement discloses the privacy practices for Irish Tatler.com, and any other affiliated sites on which a link to this Privacy Statement appears (collectively, the “website”). Use of the website is subject to this privacy statement and the terms and conditions in effect at the time of use. This privacy statement is incorporated by reference in the terms and conditions. As used herein, “we,” “us,” and “our” refers to Irish Studio Media Publishing Limited. This Privacy Statement only applies to information collected on the website. For example, this privacy statement does not apply to information you may have provided when entering a competition by mail, fax, or email. Except as specified herein, this policy also does not apply to information you may provide to us offline; however please do be aware that if you subscribe offline to one of the magazines published by Irish Studio Media Publishing ("Magazines"), from time to time we may make your postal addresses available to companies for marketing purposes. To take advantage of certain optional features or functions of the website, you may be asked to voluntarily supply certain personally identifying information such as your name, address, email address and telephone number. For example, you may be asked to supply personally identifying information if you participate in a competition, complete a survey, participate in a reader panel, make a purchase, participate in our social networking features, request back issues of our Magazines, subscribe to our Magazines, subscribe to receive newsletters, promotional correspondence, or other electronic services, or send us an email or feedback. If you wish to review your personal data that we have gathered, you may contact us at any time to let us know and we will e-mail such data free of charge in electronic format. 3. Web Beacons/Web Bugs (Clear GIFs/ Single-Pixel GIFs):Advertisements that appear on our website are sometimes delivered by third party advertisers. These third-party advertisers may use web beacons or web bugs to recognize your computer each time they send you an advertisement in order to measure the effectiveness of their ads and to personalize advertising content. In this way, they may compile information about where individuals using your computer or browser saw their advertisements and determine which advertisements are clicked. No personally identifying information is gathered through web beacons or web bugs. If you decline at the time you provide us with information or choose to opt out later, you will not receive email or other communications sent directly by us or our advertisers utilizing information collected from our site. However, if you provide your personal information in order to enter one of our competitions or online offers, you may still receive information about the specific competitions or online offer you entered. 4. How to opt out of emails: You can opt out of receiving emails at the time you provide your information or at any other time. When you submit personally identifying information, if the information might be used for emailing purposes, then you will be given the opportunity, at the time of submission, to decline to receive such communications. You can also choose to opt out later by clicking the “Unsubscribe” button included on the bottom of every email you receive from us. Personally identifying information that you voluntarily submit may be used for the purpose(s) for which it was submitted. For example, if you voluntarily submit personally identifying information to enter a competition on the website, the information that you submit may be used as part of your entry to that competition. If you subscribe to any of our Magazines, we may also use your e-mail address to send you administration notices and your mailing address to send you your Magazine. We may use information collected from cookies and other tracking technology to recognize your browser when you visit the Website and to facilitate login to the Website, to attempt to personalize the Website for each user, to ensure that your browser does or does not keep seeing the same ads, to sequence ads and offers in a series and to track page usage and paths. We may also use collected information to allow editorial content and/or advertising on the Website to be targeted to groups of users for whom it is most pertinent. This means that users see editorial content and/or advertising most likely to interest them. In connection with these uses, we may disclose information to third parties, but only in aggregate form. We may use collected information for internal administrative purposes including site administration, troubleshooting, processing of e-commerce transactions or administration of competitions. We may also use collected information to send you communications related to your use of the Website or Content you post on the Website. This includes, when applicable, communications regarding account status, order status, renewal/expiration notices and other transactional communications. We may also send you notifications about major changes to the Website and/or to the Privacy Statement. Our Website and associated services are hosted in the United States. If you are outside of the United States, your information will be processed and stored in the United States and you are consenting to such processing and storage by choosing to provide your information or browse our website. We may use collected information to create aggregate statistics about the activity of visitors on the Website, including the number of return visits to the Website or our advertisers’ websites, the number of unique visitors that have viewed or “clicked” a particular ad or visited a particular web page, and how much time is spent on each page of the Website. We may also create aggregate demographic statistics. A. How can you opt-out? As described above in Section III A, B, C, D and E, certain uses of collected information may involve disclosure to third parties. In addition, we may disclose collected information in the good faith and belief that we are required to do so by law, or when doing so is reasonably necessary to: (1) comply with the law or legal process; (2) respond to any claims; (3) protect and defend the rights, property or personal safety of Irish Studio Media Publishing and affiliates, as well as our customers, users or the public; or (4) protect against misuse or unauthorized use of the Website. In addition, collected information may be disclosed as part of any bankruptcy, merger, sale, transfer of company assets or acquisition. Kids under 13: Do not send us any information about yourself. This includes information such as your name, address, or e-mail address. We do not knowingly collect or solicit personally identifying information from or about children under the age of 13. By submitting any personally identifying information, you certify that you are at least 13 years of age. If we discover that we have received any information from or about a child under 13 in violation of this statement, we will delete that information immediately. If you believe that we have collected personally identifying information from or about a child under the age of 13, please contact us at the address provided in the “Questions” section below.